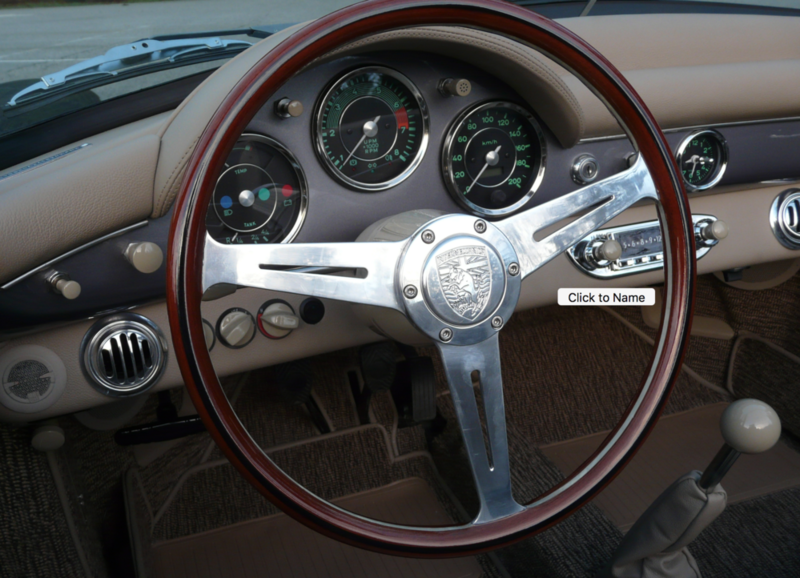 Its been a long wait, but my VDM GT Steering Wheel is done. Mike Lempert took 13 months to fishing this project. I have bitched and moaned the last few months because I felt that this took way too long to complete. That said, I will let you guys/gals know the final results when the wheel is in my hands and installed in the car. Flat 390mm, Custom Trim Ring, and 100% Bolivian Rosewood with no stain (just clear varnish). Here is a few shots. 1959 Intermeccanica, Subaru H2O Turbo (Convertible D-GT) "Le Cafe Macchiato"
Damn. That’s beautiful! Can’t wait to hear (and see) you what you think once it’s installed! The finish is still not complete. Mike said he is working on getting it perfecto! Looks great Marty. Mike makes sen cool **** but you do have to be patient. Wish I knew you were doing one, I stock about 1/2 dozen Lempert wheels. BTW, I have had Mike do two wheels for me, and both are great. A Derrington for my past MGB, and one for my current IM. This is where were going with the wheel ... different colour @arajani 's original and that colour is awesome but it did not match my car unfortunately and the hub neither. @IaM-Ray Mike had difficulty carving the the deeper groves into the front of the wheel. Said it had to do with the gran pattern of the Bolivian (the wood not the weed). He had improvise and he inlayed Ebony wood. In the end, not full replica of the original but something unique that I think looks pretty cool. 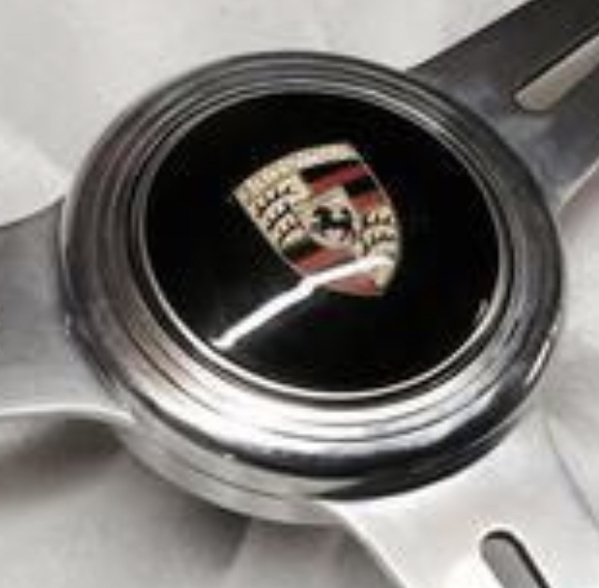 If so, can you get an Alfa horn button? Yeah, I thought about that too Bob. 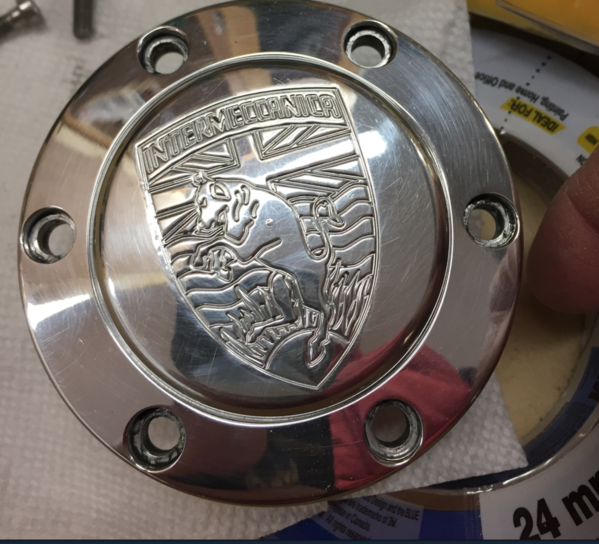 There is a guy in Slovenia that makes custom parts like Horn button for Alfa. 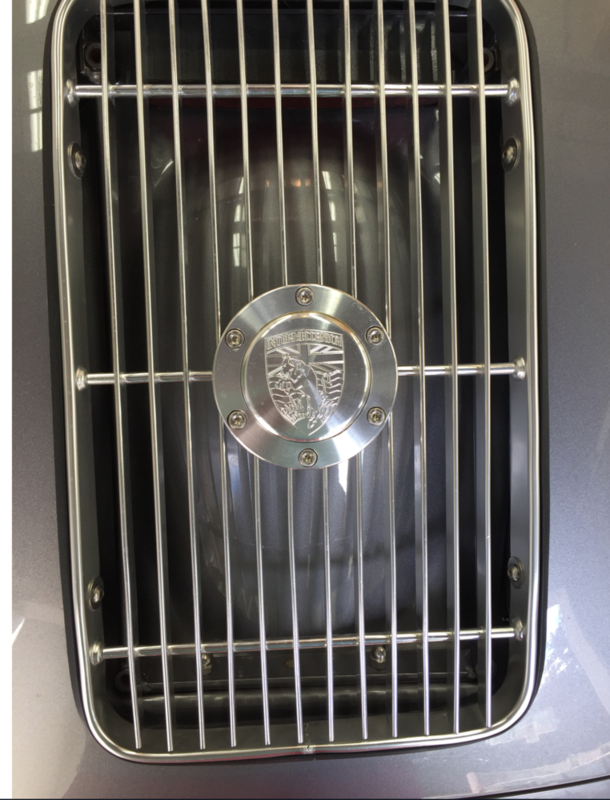 You need those little details to go with a well rejuvenated Alfa. I test drove one years ago - a 1300? c.c. coupe - and really enjoyed it, but had no money at the time. Dark blue with nice tan interior. Very sweet car. @Marty Grzynkowicz have you thought of getting a button like this to fit in your horn retainer? I thought of getting an IM crest to duplicate this look. Obviously without the nine screws and no rivets on the wheel rim. Not a bad idea Ray. Bob if you see this post a picture of your horn buttton. 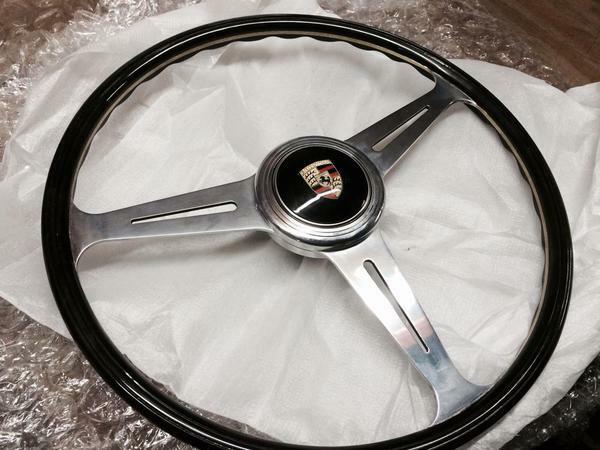 Here it is on the wheel, Nardi copy. Originally I was planning to have Mike make me the same wheel you have made with the P button, or try to slip in an IM crest in the plastic, not sure if it is bakelite of what the material is. 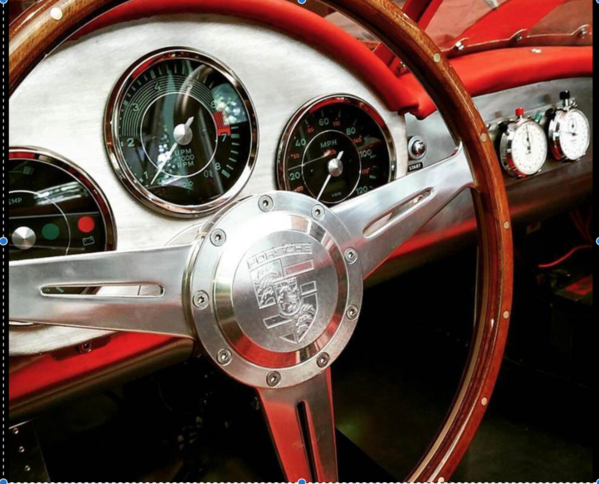 I don't have access to my photos right now, but I am sure my Intermeccanica horn button is exactly the same as what Ray posted above. No P stuff on my car. Ray, I know a guy that can possibly do this. May be a good winter project. more seriously it would be nice to have one done are you thinking about it for yourself? Mike did some more work on the finish. These are the latest photos he sent today before shipping. When does it arrive Marty, Is the horn button ready for it as well? Look forward to seeing that baby on your car. It will look awesome for sure. Should be here by Friday. I'm just going to use a P-horn button for now. I'll toy with the idea of an IM crest set into the same 82mm horn button. I think my Alfa guy in Slovenia can do it. He does all kind of bakelight and plastic molding.